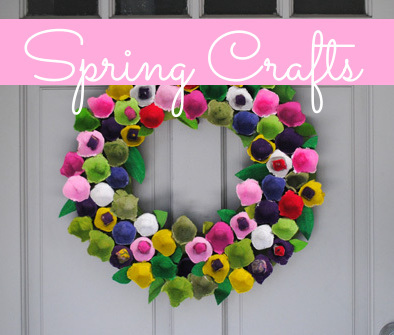 Mother’s Day is only a few weeks away and now is the time to start creating that special card for a mom you know. Bring some cheer this Mother’s Day to someone who is special to you. 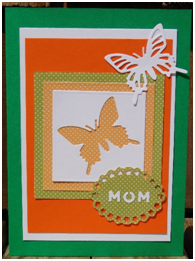 The simple design of this card is one that can be easily created for all the mom’s that are on your list. 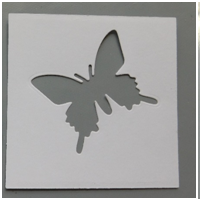 Begin the card by die cutting the butterfly (Butterfly Mini Decorative die by DoCrafts shown) from a 2 ½” square of cardstock using your die cut machine. 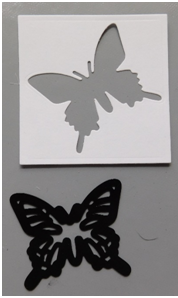 Keep both the die cut butterfly and the square and lay them aside. Also, die cut a decorative piece to place the word “mom” on. This piece can be cut using one of your favorite dies. 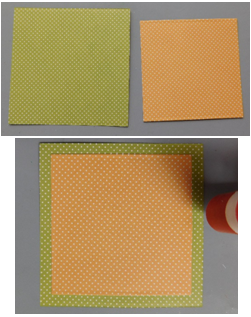 Now cut 2 squares from patterned paper. The smaller square should measure 3” x 3” and the larger square should be 3 ½” x 3 ½”. Use a tape runner to attach the small square onto the other one. Cut two more pieces from cardstock that measure 4” x 5 ½” and 4 ¼” x 6”. 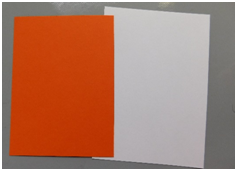 Create a 5” x 7” card base from cardstock using a paper trimmer and scoring board. Attach the layers that were created in the steps above to it using the tape runner. 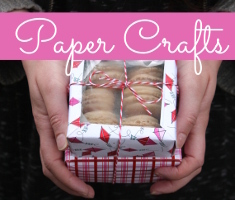 You can, also, attach the patterned paper squares at this time. Attach the butterfly square to the card. 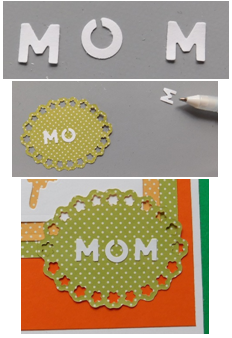 Die cut or using alphabet stickers or a special sticker to create the word “mom”. If using a die cut you can use a glue pen to adhere the letters. 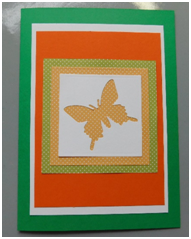 Attach the decorative piece to the card base and then attach the die cut butterfly to the top right corner. 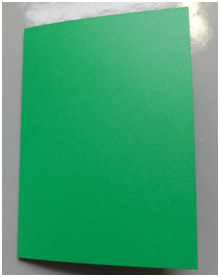 Finish the card with a special sentiment on the inside. 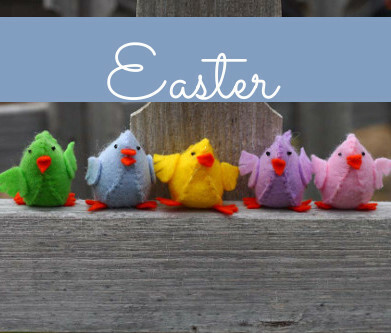 Create and share this cheery card with a mom you know and brighten her day. 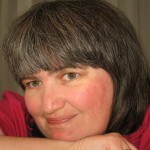 Whether it’s your own mom, a sister or even a good friend be sure to tell her that she is loved and appreciated. To all of the mom’s out there I hope you have a very special day! This entry was posted in Cardmaking, Crafts, Holidays & Seasons, Mother's Day, Paper Crafts and tagged All-Occasions Cards, Paper Punching on April 30, 2017 by Peg.